WBC Celebrates its 55th Anniversary After Being Founded in 1963. The WBC is celebrating its 55th anniversary on February 14th. It has been a great journey from that founding moment back in 1963, when the President of Mexico at the time, Adolfo Lopez Mateos, organised a world boxing summit with the most influential governing authorities of the sport from around the world. New York, California, Nevada, the British Boxing Board of Control, the European Boxing Union, the Oriental and Pacific Boxing Federation, and a few others met in Mexico City and the World Boxing Council was born. We can take pride that boxing today is much different from those days, and it is in great part due to the relentless work performed by many members of the WBC by leading research programs, implementing new rules and procedures, and always remaining active for the betterment of the sport, but most importantly for the safety of the fighters. Boxing was brutal, regulations were minimal, and boxers were simply seen as merchandise. The reduction of championship rounds from 15 to 12, the implementation of mandatory medical examinations (yearly standard studies), pre- and after-fight examinations, the implementation of the day before the fight weigh-in, the creation of intermediate weight categories, the thumb-attached glove, banning the six-ounce glove, adding the fourth rope in the ring, and many, many more changes were implemented under the leadership of the WBC and my dear father, Jose Sulaiman. 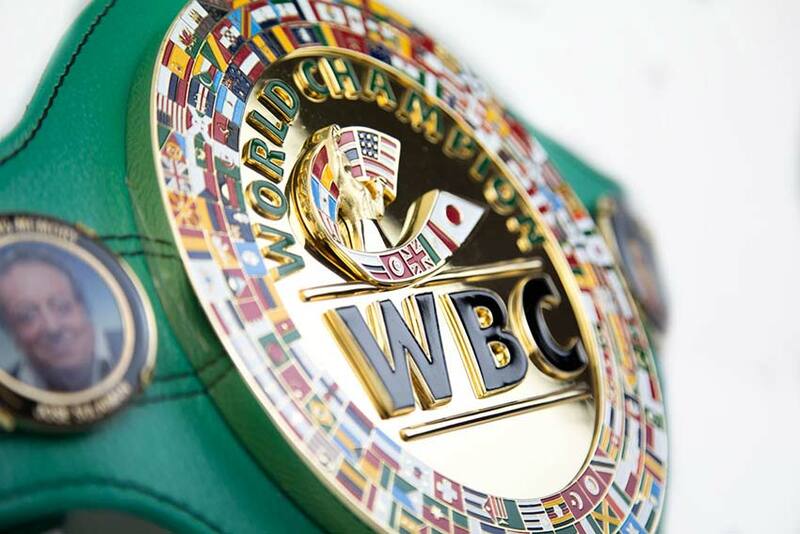 The WBC championship is the dream of every boxer, the Green and Gold – the belt once held by Ali, Foreman, Tyson, Leonard, Hagler, Hearns, Duran, Chavez, Arguello, Monzon, Mayweather, Pacquiao, and so many great legendary champions. But the WBC is and will always be for the boxers before, during and after their days of glory in the ring. At the same time, the WBC is approaching yet another milestone as the 2000th world title fight sanctioned by the WBC is fast approaching and will take place in March or April. Today, I celebrate my fourth anniversary as President of the WBC. I say this with mixed feelings, as I can’t help but to immediately relate this anniversary to the one of the passing away of my dear father. Continuing in the WBC has been a blessing for me as it has kept me close to him every single day, every single hour, every single moment. Being the son of Jose Sulaiman is my greatest pride and it motivates me to understand that I must honour his name and legacy with my actions day after day. I will continue to follow his path with the same principles and values which have ruled the WBC and which make our organization different from any other governing organization from any sport.